I do love a good glass of Pinot Noir. Actually, what good glass of wine don’t I enjoy? Can I get an amen? A couple of months ago my bestie and I went on a mini-vacation (translation: four day wine tasting extravaganza) research trip to Oregon. It’s been a dream of hers ever since she was a little girl to live in the wilds of the Pacific Northwest, well not that wild. She’s loved Oregon ever since Cagney and Lacey were fighting crimes. It’s been my dream to drink Pinot Noir in several Oregon vineyards. “Ok, done,” I chatted mindlessly about the travel arrangements, filling a silence I didn’t notice until five minutes later. “I’ll email you all the details. Let me know the areas you want to look at houses and I’ll work up an itinerary.” Because on vacation I have a detailed plan of attack. At that point I hung up, because we all need to be alone while envisioning how to make our dream life our REAL life. A girl’s got goals. In Oregon there are 16 winegrowing regions called American Viticultural Area’s (AVA’s). When an AVA is designated on the wine bottle’s label, the wine must contain 85% of the grapes sourced from that AVA. With nearly the same latitude as Burgundy, France…well more like Dublin, Ireland (tomato, tohmato). And nearly 700 wineries, that’s a lot of wine and a lot of competition. 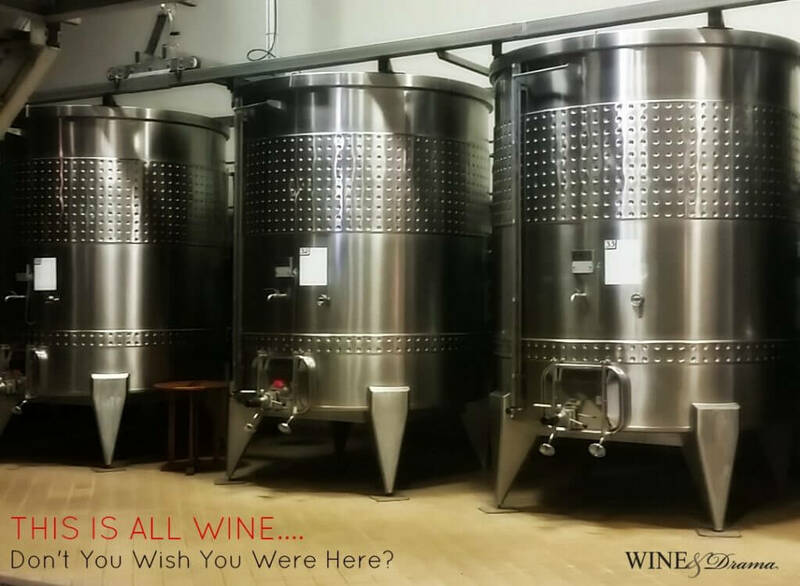 So, how would we blitz through Oregon wine country and visit some of the best wineries in the country? Well my scientific method is I love a good story and then I cross reference the story with reviews on TripAdvisor. I wasn’t interested in visiting the big boys like Erath, A to Z, etc. They get enough praise, visibility, and acclaim. I needed to check out the other players that I liked and wanted to get to know. There’s another post coming soon…that will have a complete list of all the Oregon wineries I visited. 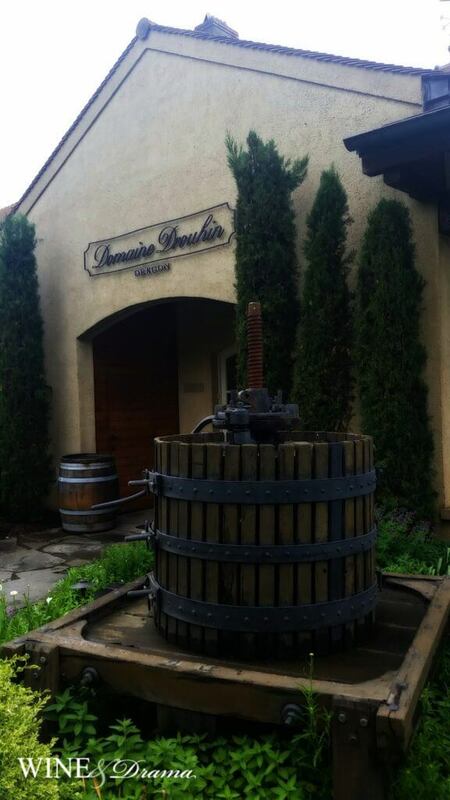 We visited the sublime Domaine Drouhin Oregon Winery owned by Veronique Boss-Drouhin, a fourth-generation winemaker and her family on a Sunday afternoon. Their slogan is French Soul, Oregon Soil. I scheduled a guided tour for me and the bestie. The day started off right when the other tour guests never showed! Can you say, private tour? Yes, giddiness ensued. Domaine Drouhin Winery is stunning. It’s like someone transplanted a Chateau from Burgundy in the middle of Dundee Hills, Oregon. Veronique’s family has been in the winemaking business for centuries and hails from Burgundy. The Drouhin family also owns Maison Joseph Drouhin in Burgundy, France. After graduating college and deciding to take a leap of faith to expand the family biz she traveled to the Willamette Valley to learn winemaking and then ventured out on her own. Veronique, I hope someday we can meet. I promise I won’t stalk you too much. When we walked inside Domaine Drouhin winery, we were greeted by a very friendly staff. There are heirlooms, paintings, and mementos from the Drouhin family. A dining table from their Burgundy family home sits in the middle of the tasting room. You can feel their winemaking legacy. As Wolverine gave us our exclusive tour he shared bits of trivia, details of their wines, and even recommended a book that I loved Wine and War. It’s an historical account of World War II about the lengths winemakers in France went to protect their wine that reads like a novel packed with Nazis, French wine, intrigue, deception, and triumph. Wolverwine whipped out wine glasses from hidden places at different areas of the winery along the way, letting us stop and to taste their wonderful wines. Now, I’m not a lover of Chardonnay, but I enjoy it in small amounts like Swedish fish or gummy sours. I don’t really care for big buttery oaky Chardonnay’s…if I want a ton of butter, I want it in my brioche. Mmmm…brioche. Say that word twice. Now where was I? Ah yes, the RoseRock Chardonnay was wonderful. It was lively and fun packed with pineapple, Fuji apple, lemon, papaya, and clementine flavors with a smooth ever so slight rich finish at the end. It’s a schmear of soft creamy butter on a baguette, not an unspreadable chunk sitting on your burnt toast. I don’t know why I’m making so many bread references today. Very drinkable, I even bought a bottle. Price: $35 a bottle. First off if you roll your eyes at Rosé, shame on you. Rosé wine is REAL wine you Philistine. It’s fun, graceful, it’s the perfect sparkly diamond hoops that compliment a little black dress or a tank top and jeans. Flash, style, and substance in one perfect package. Domaine Drouhin Edition Rosé of Pinot Noir 2015 was vibrant and fruity, you could taste fresh minerals, the zing of pink grapefruit, ripe lychee, juicy peach, tart cherries, and a touch of heady perfumed roses. I bought three bottles because I love this Rosé wine that much. Price: $25 a bottle. 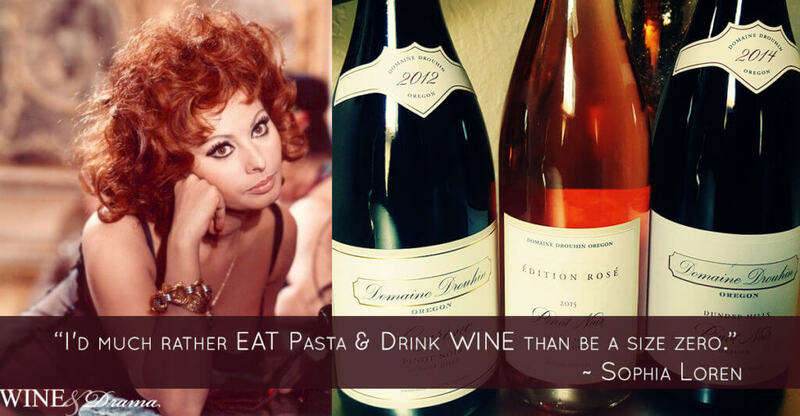 Note: Wineries often run out of Rosé online, so buy it up! This won my heart and became absolute favorite Pinot Noir at the tasting. I honestly don’t know what I was thinking when I only ordered two bottles of it to take back home. 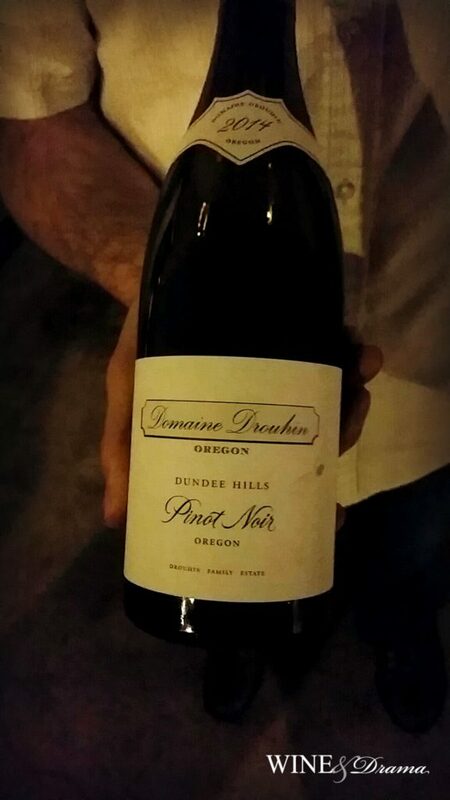 RoseRock Pinot Noir produced by Domaine Drouhin comes from the 279 acre Roserock vineyard purchased in 2013. Veronique knew the Eola-Amity Hills AVA in Oregon’s WIlliamette Valley would make for delicious wines and she was right. Roserock Pinot Noir is a cuvee selection from the estates 35 blocks. There’s a lot of power behind this gorgeous red Pinot Noir. It’s stately, yet playful, giving a whiff of spice, dark cherry, roses, burnt sugar, and fresh earth. Long on the finish, I savored this wine. I was pretty sad when I drank the second bottle too. Time to order some more. Price: $35 a bottle. I’m saving this wine for when one of the little people graduates from elementary school, because let’s be honest high school or their weddings are way, way down the road and I’m not that patient. Laurene is a fantastic garnet color, full of cherries, and herbs, it’s rounded off by trademark French oak, but done supremely well. There’s also a rich hint of freshly ground baking spices that give it a special finish. You can store this wine for 10-15 years, if you have the self-control. $70 a bottle. Note: 2012 was an outstanding vintage in Oregon. One winemaker told me, “If you made a bad wine, from the 2012 vintage then you have NO business making wine.” He added several passionate hand gestures and in my semi-buzzed state I clapped for his performance. He smiled and poured me another glass. So, as I was listening to Wolverine talk as he guided us from the cellar. 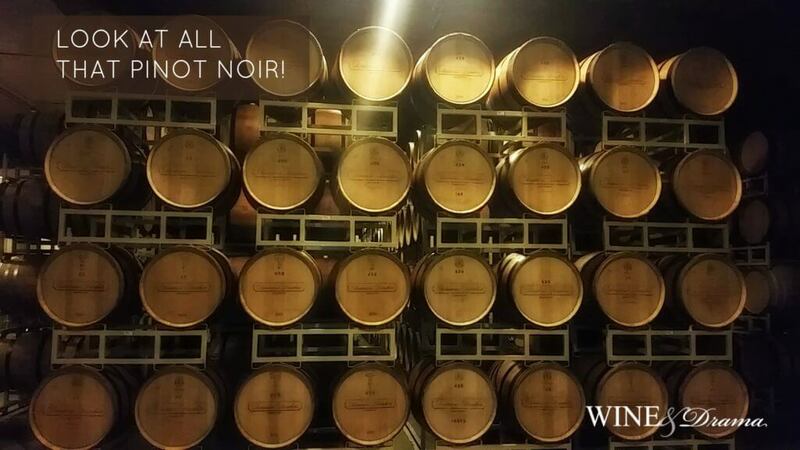 I stood in front of barrels upon barrels of wine and had my own epiphany. I collapsed the space-time continuum with my dreams and desires that longed to be fulfilled. I suddenly wanted to forge a brand new path for myself. After the tour was over, we stood outside on the balcony and enjoyed the views. The vineyards that represented hope, life, challenge, work, commerce, and happiness had calming effect on my overactive mind. I stood still and connected with my soul in a way I sometimes forget to do. I knew what I wanted. Now I asked myself how can I make that happen? Suddenly, I knew the answers. They were there all along. I promise if you ask yourself, “What do I want?” And, “How will I get there?” I guarantee if you’re open to thinking new thoughts that frighten and excite you…you’ll find the answer and then figure out the way. You know what you need to do. Do it. Don’t wait. Life’s too short to not live the life YOU TRULY WANT TO LIVE. 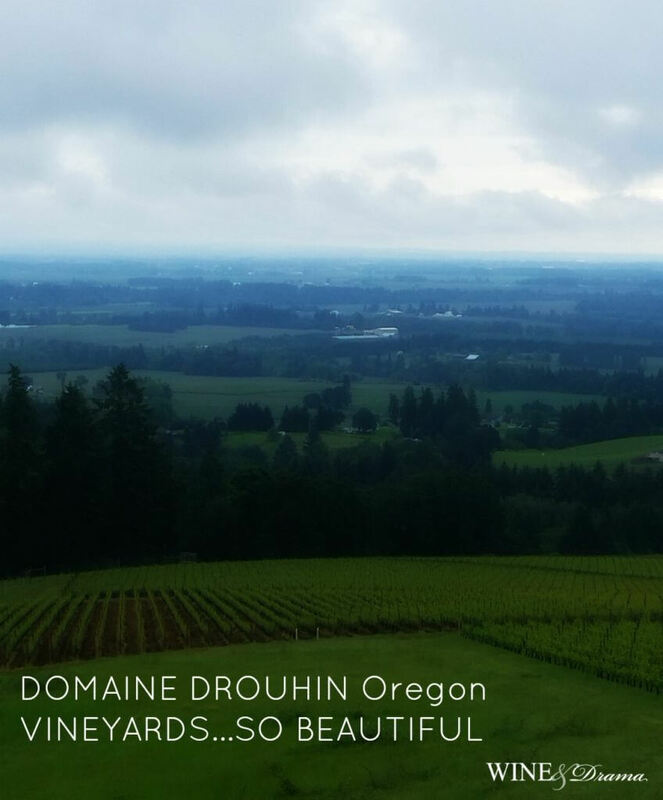 And be sure to visit Domaine Drouhin Winery in Oregon and have your own ah ha moments or just enjoy the fine wine. Random Note: Here’s a little travel tip, don’t try to pack your wine. Unless you’re only bringing back a couple of bottles. If you’re bringing back more than 4 bottles, then ship it. Do you really want to be that traveler that now has to choose between her shoes and her prized wines to get under the 50lb checked baggage weight limit? Remember what happened last time, Wendy. The Newberg Mail Room is a great little mail and shipping store, that specializes in shipping and sending your new wine (children) back home to your house where they belong anywhere in the United States. They have shipping wine down to a science. My wine made it back to the East Coast in perfect condition.